The slightly different holiday experience with that certain something – for 2 people. These extravagant huts were designed by architects and are not only an eye-catcher with their unique round design, but also offer every possible luxury. Our 30m2 lark nests were built in 2018. Enter the large room of our nests, you will find a double bed, a dining table in front of the stove and a kitchenette with a fridge. In addition, there is a spacious, stylish bathroom with toilet, shower cubicle and hair dryer available – with direct access to the sauna. Our lark nest wows on you with a great terrace, half open, half covered. 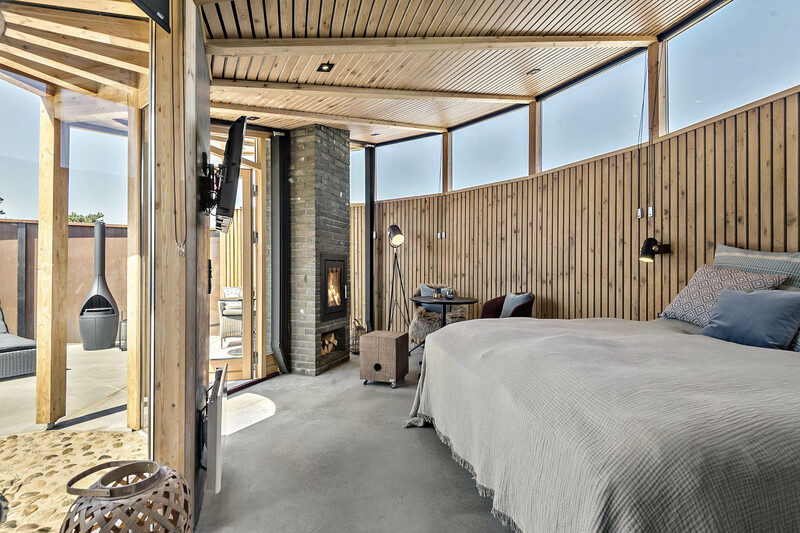 Here you will also find an outdoor fireplace and also from the terrace they have direct access to the sauna. 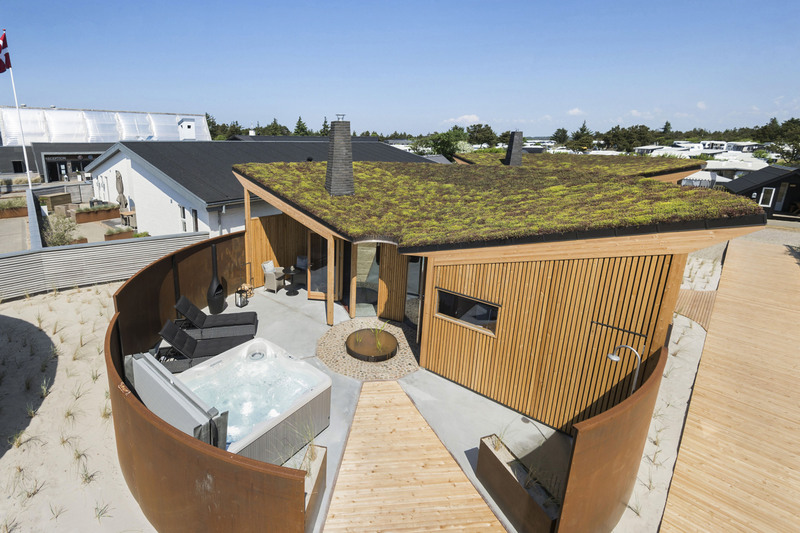 Our outdoor hot tub in innovative design invites you to relax, enjoy and relax. Our lark nests, the slightly different holiday experience!